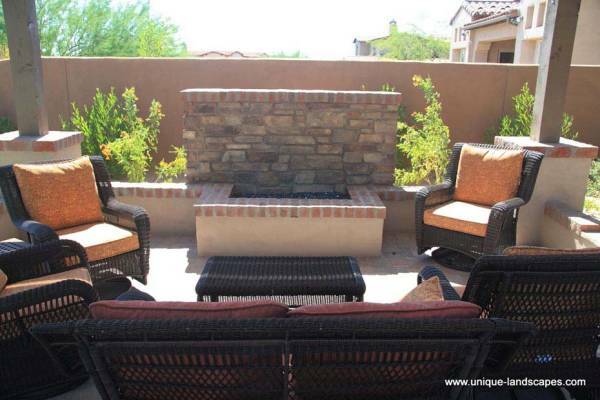 The high demand for outdoor fireplace ideas has led us to add another category to our photo gallery. 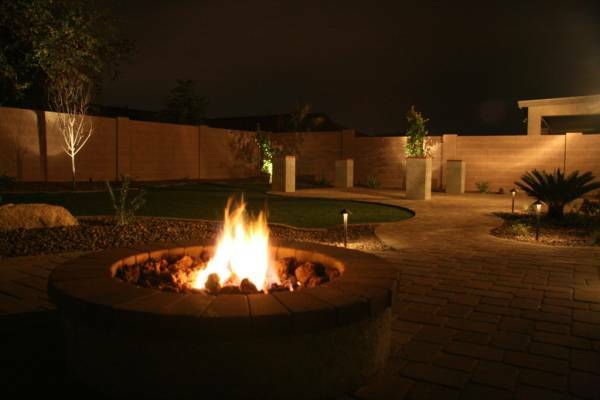 Whether you are looking for an informal outdoor firepit to sit around in the evening, or a more formal backyard fireplace, we hope you find our gallery inspiring. 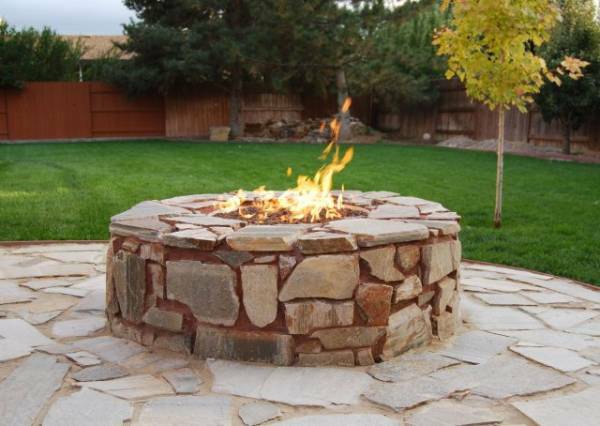 Please enjoy the fire pit ideas, and visit "The Yard" Landscaping how-to modules if you are planning on installing your own projects. 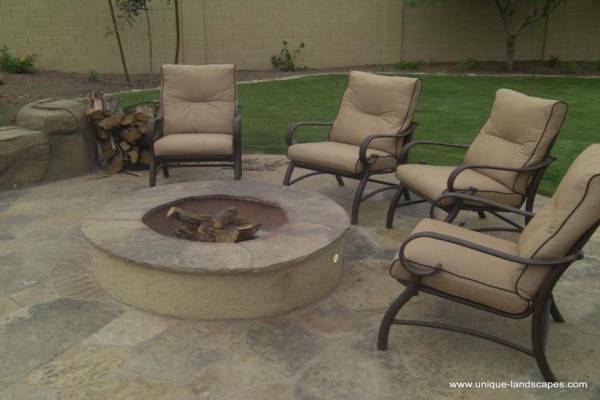 When sitting around your backyard firepit with friends and family, make sure you let them know about our site too. 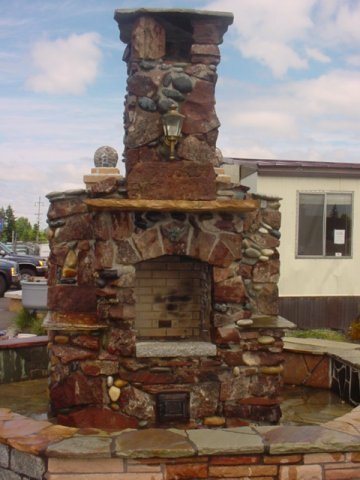 Just click on any outdoor fireplace photo to open a gallery slideshow of all the photos on this page. 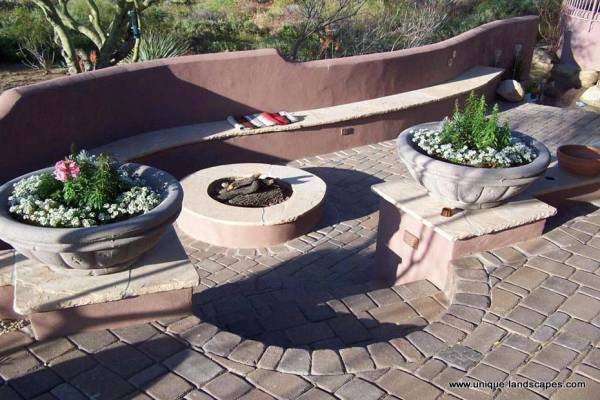 Find more outdoor fireplace ideas by clicking on the links at the bottom of the page to open other galleries. 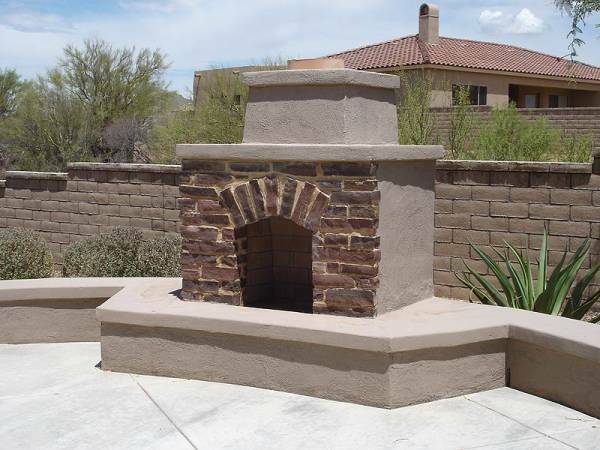 Outdoor desert backyard fireplace combining brickwork into the front face for interest. 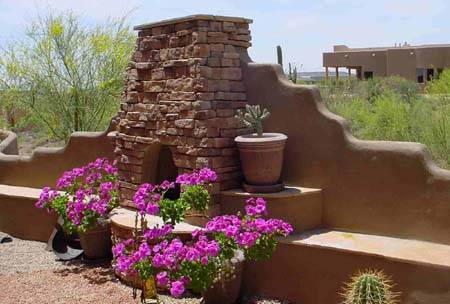 Shrubs planted behind the fireplace soften the privacy wall while supporting the main feature with texture, shape, and colour. cover and the desert background. of the yard by softening it up. out according to comfort from the heat. features instead of hiding less desirable ones. softens the large privacy wall between the properties. yard, no matter how formal it is. 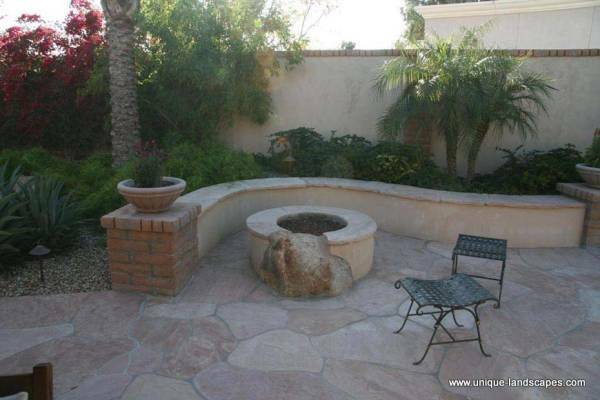 A less formal flagstone patio and firepit can have a lot of character. 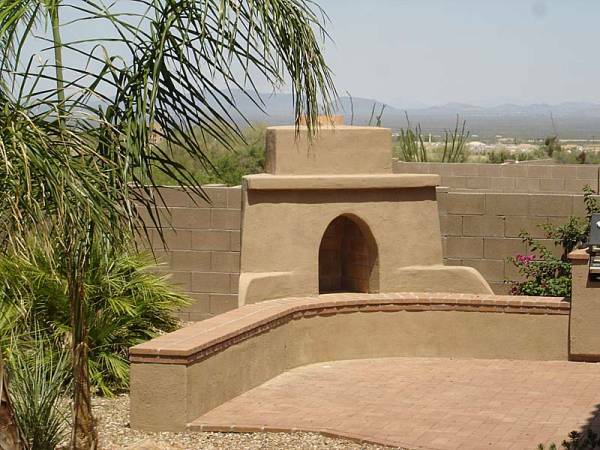 This large backyard of an older yard was a perfect match for this feature. 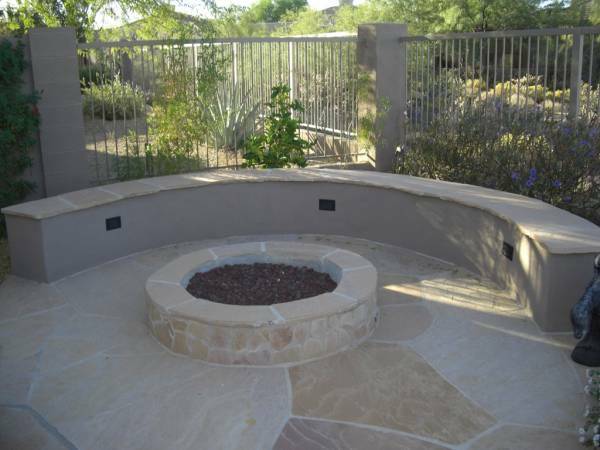 A more formal firepit that adds interest to a large privacy wall with it's shape and materials. Plantings were added to complete the feature and add some colour. 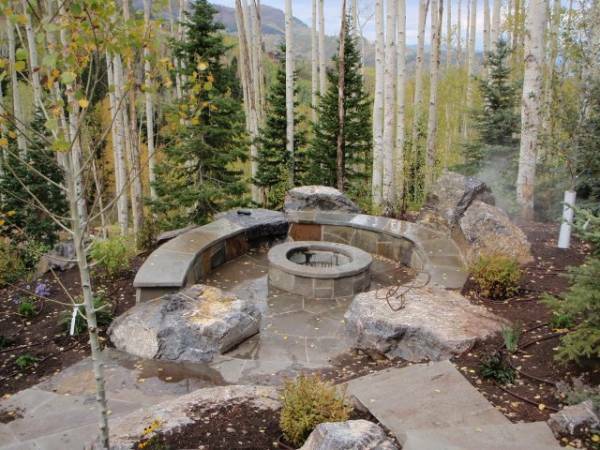 Firepits don't always have to be round. Although it is not exactly in proportion with it's surroundings, we have this picture to show you a nice blend off flagstone and small boulders. The two have been combined nicely to give this fireplace lots of character.